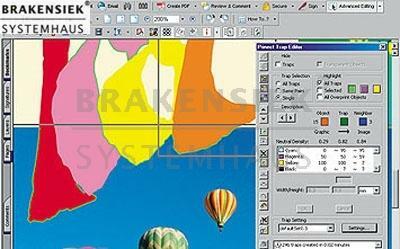 Prinect Trap editor is a highly competitive PDF Trapping tool of Heidelberg. Arisen from Supertrap, the worldwide first Adobe Acrobat plug-in for the packing of nativen PDF documents and winner of the GATF InterTech Technology Award, the overriding Trapping tools are of the Prinect Trap editor for all areas of the print media industry. Comfortably and efficiently overcrowdings can be carried out interactively and object-oriented. In spite of the high level of development modern pressure machines often have problems to maintain the exact passport exactness (Registerhaltigkeit) between the different extracts what can lead on the printed side at the places to mistakes (streakers) in which colours collide. The expert "overcrowding" or "Trapping" calls the solution for this problem. Besides, the objects brighter in each case are easily increased as a rule, so that the colours are also prevented with bad Registerhaltigkeit in the pressure easily überdrucken and with it "flashing through" the paper colour. There are meanwhile different application programs which overcrowd adjoining colours according to certain rules (mostly automatic) already with the construction of a layout or an illustration. Prominent examples are possibly QuarkXPress or Adobe InDesign. However, in case of from QuarkXPress one must say goodbye to the overcrowdings at the moment again if one writes a compound (composite) PostScript file to make afterwards a PDF from it. Unfortunately, the suitable information is absent for the congested objects. In other programmes overcrowding possibilities are completely absent. To protect a constantly good pressure quality about all documents of different origin, there are already since some time different overcrowding programmes at the market. These solutions were mostly based on PostScript. Though up to now existing solutions were able to read in PDF files, however, these were converted (mostly) inside into a bitmap format. The advantages of the PDF file format were at the latest after the overcrowding there. As a successor to Supertrap the Heidelberger Druckmaschinen AG offers a solution basing on Adobe Acrobat called Prinect Trap to editor which is able to calculate professional overcrowdings for native PDF files and to store the result in the PDF format. With it one of the last gaps is closed in the PDF workflow. Now by a cooperation with the company Heidelberg we are able to be able to offer to you this product as Standalone tools also beyond the Prinergy-Worflow of system. Based on the experienced da Vinci-Trapping-Algorithmen which are also used in Prinergy, Prinect Trap editor is a highly competitive production tool for the Adobe Acrobat with which native PDF documents can be overcrowded. It distinguishes itself by his quickness and the interactive Controlling and Editing possibilities. Because one with Prinect Trap editor congested PDF file the overcrowding information already contains, it can be processed together with every final issue compatible with PDF and Proofsystem. Special RIP enlargements as for example the Adobe in-RIP Trapping are not thereby necessary any more. Moreover, the RIP times do not become negatively beinflusst because in the issue device no complicated overcrowding calculations must take place. Prinect Trap editor supports fully automatic packing according to user-defined rules and also permits the manual change of single objects. With Prinect Trap editor very complicated calculations can be explained in seconds between all combinations by vector and grid objects. Now in former versions of Supertrap plus to contained special functions for the area of the packaging pressure, are included in Prinect Trap editor. Several PDF documents let themselves overcrowd batch processing with the Acrobat automatically. The product is with a Dongle (USB) kopiergeschützt. 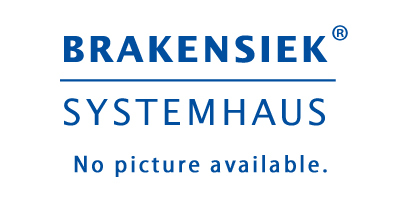 On the web page of Heidelberg you also find a small selbstablaufende presentation to Prinect Trap editor.